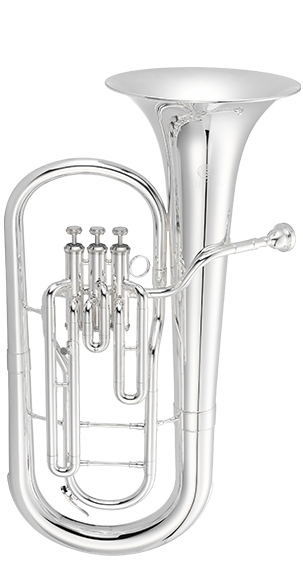 The Jupiter JBR700S is a three-valve Bb baritone horn with a silver-plated body, a .512" bore and a 9.5" bell. It is a graceful, simple design whose focus is on tone and playability. 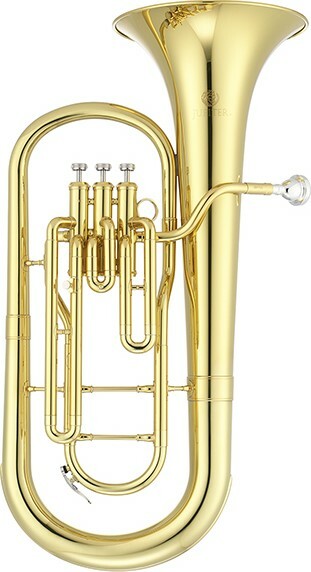 This medium-priced instrument offers the rich sound a band or orchestra needs from its low brass. 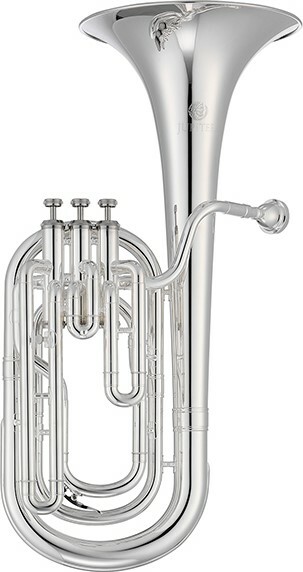 The JBR730S is a silver-plated 3/4 size student baritone. It is simply and elegantly designed with an upright bell and a striking lacquer finish. 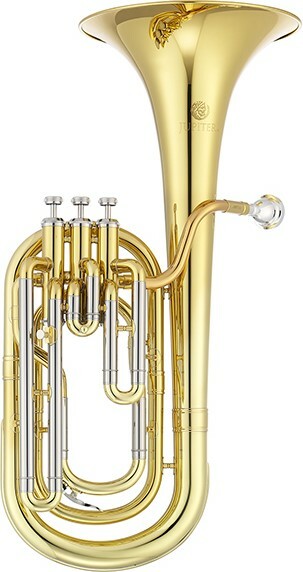 It features a rose brass leadpipe, nickel silver outer slides, three stainless steel pistons and a .531" bore.